I’m involved in a club, supporters’ trust or supporters’ group and I want to organise my own WATG event – what do I do? WATG is all about enabling people to take part, so we’ve put together a basic toolkit to help you with your first match. The toolkit can be used by clubs, supporters’ trusts and groups and individual fans who want to get behind this initiative. It helps you to pick a date to promote WATG, and hints and tips on how to recruit your new fans. We’d encourage you to ask your current female fans to get involved, maybe to volunteer to welcome new fans, helping them to settle in at the ground. We also have a questionnaire you might like to use as a basis for evaluating the success of your day – download it here. How about if I’m an individual and I want to organise something? 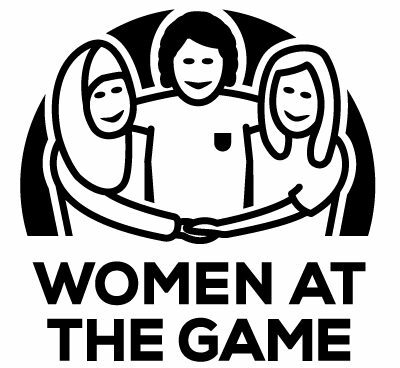 If you’re an individual who wants to help out, get in touch with your club, supporters’ trust or supporters’ group and ask them to sign up for Women at the Game. WATG works through clubs and supporters trusts/groups. We can also help to put you in touch with women interested in attending your matches and with current fans who want to volunteer to help. We can offer advice on how to promote your event. If you decide you want to hold a Women at the Game event, please let us know all of the details so that we can promote you. We are happy to answer any questions you have. You can also join our Facebook group to help to promote your event; tweet your information using our hashtag #womenatthegame and tag us @womenatthegame.